StorageCraft announces that the Channel Company names Lee Schor as a 2019 Channel Chief. Schor is part of the exclusive 50 Channel Chiefs who are on the Most Influential list. Schor’s role in creating the StorageCraft Partner Success Program, and what the program entails for partners and StorageCraft. 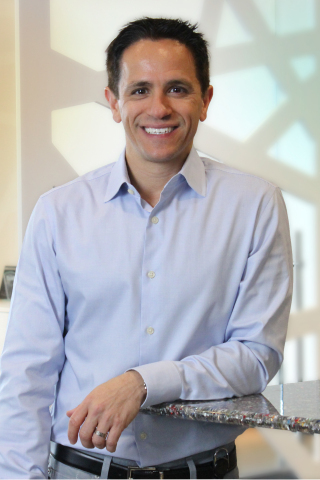 StorageCraft®, whose mission is to protect all data and ensure its constant availability, announced today that CRN®, a brand of The Channel Company, has named Lee Schor, vice president of sales -Americas at StorageCraft, a 2019 Channel Chief. For the second consecutive time, Lee was chosen by the CRN editors for inclusion in the Channel Chiefs Most Influential list. Channel Chief honorees are selected by CRN’s editorial staff because they have demonstrated exceptional leadership, vision, and commitment to their channel partner programs. Each Channel Chief exemplifies highest professional achievements, standing in the industry, dedication to the channel partner community, and strategies for driving future growth and innovation. Of the Channel Chiefs, only 50 were selected for the Most Influential list, each singled out for his or her prominent role in guiding and shaping the IT channel itself. The executives on this annual list are part of an elite group of leaders who drive the channel agenda and evangelize the importance of channel partnerships. This distinguished group is recognized for outstanding commitment to driving growth and revenue in their organization through partners, as well as extraordinary leadership in the channel as a whole. Schor’s role in creating an innovative partner and channel-focused program, the StorageCraft Partner Success Program, helped him gain recognition as a Channel Chief. The StorageCraft Partner Success Program not only encompasses all StorageCraft products, it’s among the most profitable in its space. StorageCraft saw the program’s introduction as an opportunity for the sales team to work more closely with a focused set of partners and build more strategic partnerships. By taking advantage of new product offerings and the revamped partner program, partners can differentiate themselves in the market, offer more to existing clients and attract new ones. They’ll improve margins and reduce operational cost and overhead too. StorageCraft’s goal for the new program is to empower partners, based on their business models and growth roadmaps, to bring the right-fit offering to their customers, and to maximize their profitability while doing so. The 2019 CRN Channel Chiefs list, including the 50 Most Influential Channel Chiefs, is featured online at www.crn.com/channelchiefs and will appear in the February 2019 issue of 2019.